Whatever is the Case, is the Case - Fact or Myth? That which is, necessarily is. That which is not, necessarily is not. Meanwhile, anything other than truth/reality is not true/real. That which necessarily happens as an effect under specific conditions, will necessarily happen under those conditions. In all cases, the above is generally true even when we are not able to know something for sure (reality is not dependent on our ability to perceive it or speak of it accurately). 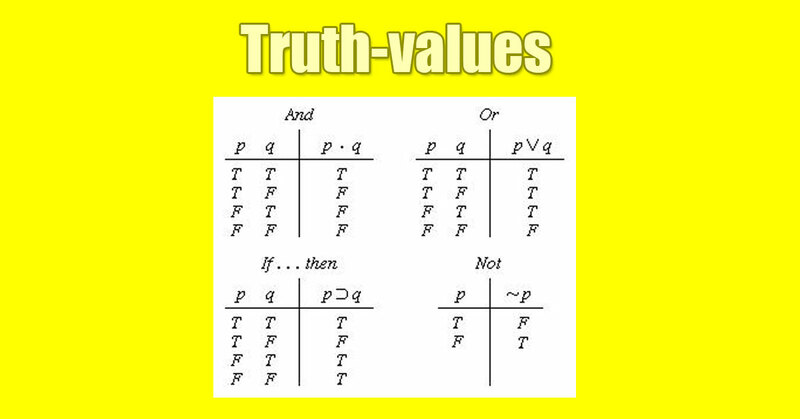 Generally, all empirical truths are empirically true and all rational truths are rationally true (if a thing is not true, then it is not a truth). In terms of reality, that which is reality, is reality. ex. if in reality what we call the red ball is on what we call the table, then it is reality that what we call the red ball is on what we call the table. In terms of perception, that which is perceived, is perceived (be it external or internal). For example of an external perception. if I perceive the red ball to be on the table, it is true that the red ball is on the table from the frame of conception and perception. For an example of an internal perception, I feel happy, therefore it is true I feel happy (if my rationalized impression of my “internal senses” is happy, it is true that “I feel” happy; true even though it is purely internal and based on my own perception). In terms of logic, that which is logically necessary (a tautological truth) is necessarily true. And generally in terms of a given system, that which is true with in the system, is true within that system. For example, in the system of formal simple western mathematics, 1+1=2 is a true statement. Simply put, if a thing is true in reality, or is true within a sub-system of reality (like mathematics), then from that frame it is true. The above collection of statements may seem pointless and redundant to even say on one level, yet in-practice we find ourselves arguing about what is the case all the time (and further, to what degree truth can be objective). Consider, this is a fact-checking site (of sorts) and it is arguably useful because we as humans constantly believe things that aren’t true or simply don’t understand truths and are looking for answers. Thus, there is a market for researching things and attempting to find deeper truths. That says, if an input is true, then the output is true. If the input is false, then the output is false. <—- there is no room to debate the validity of that within that system. T always outputs T. p always remains p.
If the input is 1, then the output is 1 and not 0. If the input is 0, then the output is 0 and not 1. Within a system where that is the rule, then it is necessarily always the case. A thing, in simple terms, can’t be what it isn’t and must be what it is. An event must be what occurred and can’t be something that did not occur. An input that necessarily produces an output, must necessarily produce that output (in a system where that rule exists). Once an output is produced, it is necessarily true that it was produced. Deep metaphysics aside (where we can question if the output that was produced was produced for example), the above is necessarily true. Within the construct of simple mathematics, 1+1 = 2 always, and it never equals anything else. The only way to break that rule is to get clever and turn to deep metaphysics or discuss systems in which the rules change. Of course, these are just tricks of semantics. If you change the rules, then what is true changes, however the concept that what is true is true does not change. That is a simple and fundamental truth. Everything is what it is and is not what it is not. Anything that is in a single state, is necessarily in that state. If we consider complex states like states of superposition as single states, then we can say that everything is in the state it is in. Everything that is, is. Everything that was, was. Once something occurs, it has occurred, and it has occurred in exactly the way it occurred. The logic is simple, the hard part is correctly identifying states with certainty given the probabilistic nature of truth and our inability to communicate, understand, and express concepts. Still the problems are in our ability to express things and identify things, the problems aren’t in the nature of truth itself removed from our ability to determine and express truths. Still, even if we had a magical oracle AI that could answer every question with certainty, we would arguably argue about that which is the case and struggle to express our thoughts due to the constraints of human language and human understanding. There is the certainty of truth as it is… and then there is human nature. These two spheres bump up against each other all the time, but they are not the same things. Thus we are left searching and debating. In many cases this makes sense, such as in a court of law where we are arguing events, actions, and their relation to manmade laws. Still though, all this again just speaks to our shortcomings as explorers, not a shortcoming of the universe regarding the nature of truth. Deep metaphysic hole poking: Let’s say I make the argument that everything that is the case is also not the case, because everything exists as a range of things. For example, the reality is that the apple fell from the tree and did not. Well, then that is case. The more holes you poke, the more complex the truth becomes. However, there is always an underlying certain objective truth (even if we can’t know it). The simple truth that what is true is true and what is false is false is so simple it is redundant. Yet, identifying, explaining, and agreeing on truths is difficult enough that it commonly consumes conversations and lines of thoughts. Still, this is just the difference between truths existing (absolute) and understanding truth (limited by human understanding) and expressing truth (limited by human language). Thinking on and expressing the concept is metaphysical, but foundationally there is nothing more true in the most literal of senses. Even in a world where everything exists as probability, how a probability expressed in-practice or the formula for how it is expected to express is the truth. Thus, that which is the case, is necessarily case.